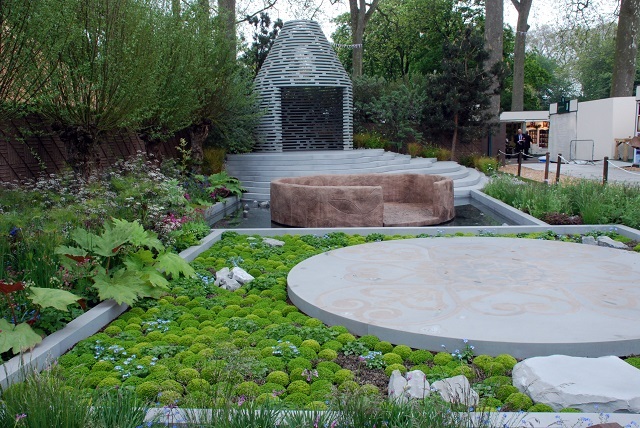 Welcome to part two of my taste of the RHS Chelsea Flower Show 2013. Today I am featuring three more of the main show gardens, each with something that I found inspiring. 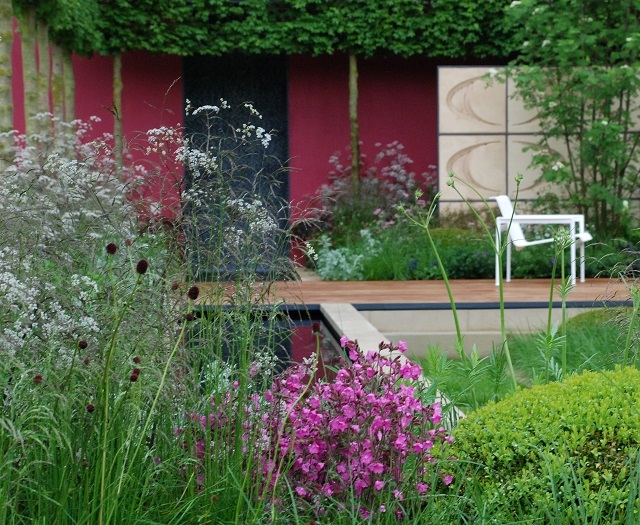 The first is the Brewin Dolphin Garden, designed by Robert Myers Associates and built by Willerby Landscapes. 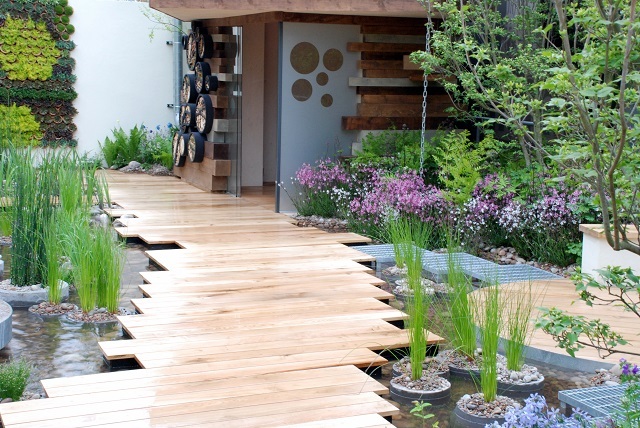 This is a modernist and geometric garden which brings class and sophistication whilst introducing native wild-life friendly plants. 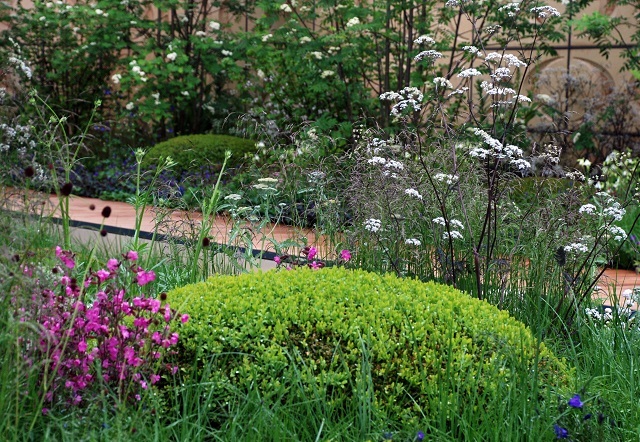 This garden was awarded a Gold medal. The B&Q Sentebale Forget-Me-Not garden, designed by Jinny Blom and built by Steve Swatton, has been getting a lot of media attention, but that has something to do with the fact that it was inspired by Prince Harry and Prince Seeiso of Lesotho’s charity Sentabale which helps vulnerbale children in Lesotho in Southern Africa. 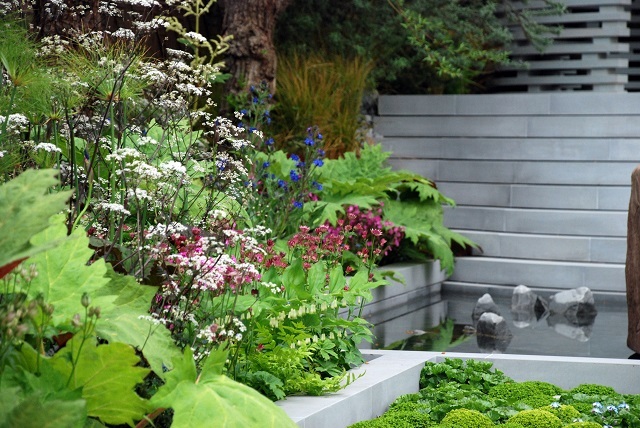 This garden was awarded a Silver Guilt medal. 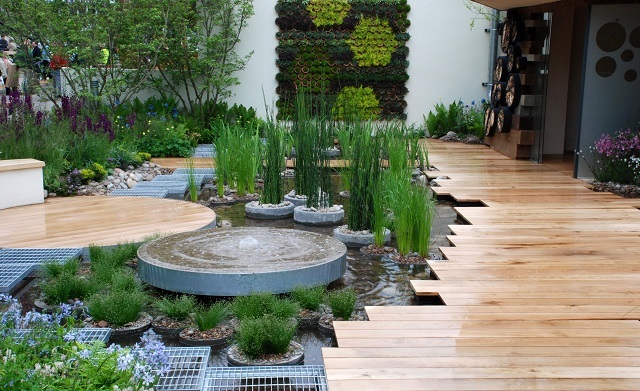 The final garden for today is the RBC Blue Water Roof Garden, designed by Nigel Dunnett and The Landscape Agency and built by Landform Consultants. This garden represents an urban garden that integrates recreational space with innovative biodiversity and habitat features. 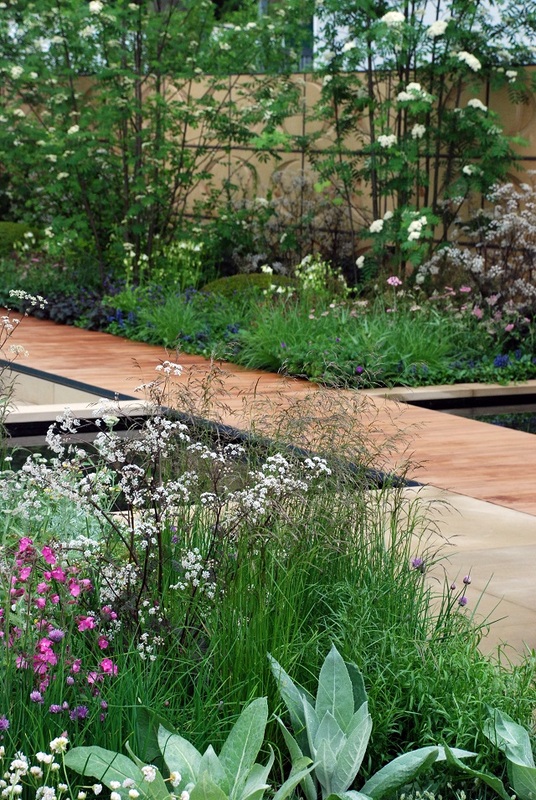 This garden was awarded a Gold medal.